What: Become Certified to Register Eligible Voters & Prepare for Elections in June! 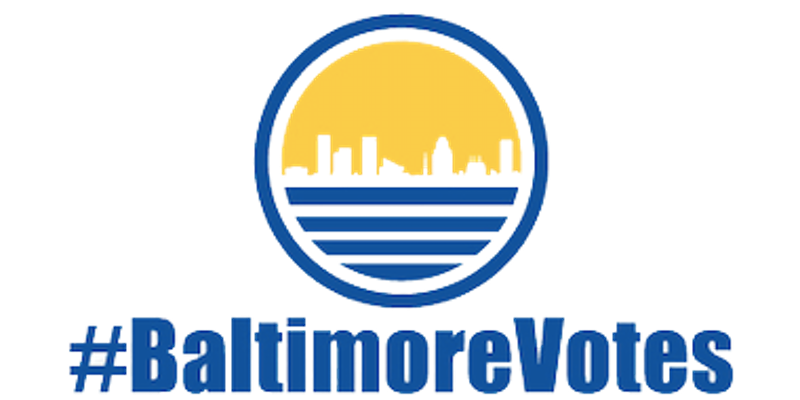 #BaltimoreVotes is a campaign, dedicated to providing everyone in Baltimore, without prejudice or bias the information and motivation they need to engage in every election confidently. Right now we’re invested in supporting individuals in Baltimore interested in voter registration, voter education, and voter turnout efforts as a tool to empower their community to vote. During this information session, we’ll explore resources being used around the country, brainstorm collaboratively on a Baltimore where every eligible voter is confident casting a Ballot in June and every election. Also, The Baltimore City Board of Elections will be on site to certify anyone looking to register eligible voters this upcoming election. Join a larger network of non partisan civic engagement! Become certified to register eligible voters! Learn about initiatives going on across the country! Create a community engagement plan! We’d love to hear your thoughts on the #BaltimoreVotes campaign and answer any questions you may have on how to access these resources! #BaltimoreVotes is thankful to the Central Baltimore Partnership for faciliting this event and to The Motor House for hosting. A Happy Hour to immediately follow! Citizen Artist Baltimore is excited to partner with coalition partner Arts Every Day as they work with Baltimore City Public Schools to launch the Baltimore Arts Education Initiative, a collaborative Fine Arts Strategic Planning process to improve equity and access to the arts for all Baltimore City Public School students. During this event we will hear from Chicago-based Ingenuity-Inc., a national thought leader and the strategy partner for Chicago Public Schools instrumental in the creation and implementation of a district wide Fine Arts Plan. 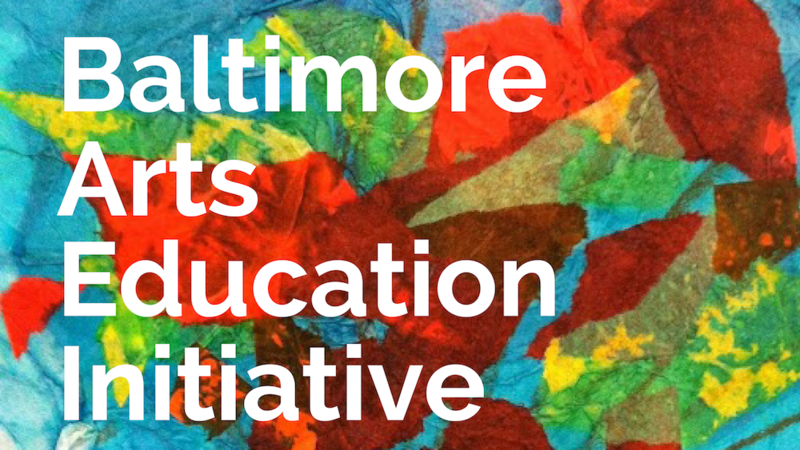 Baltimore City Public Schools District in partnership with Arts Every Day is pleased to announce the Baltimore Arts Education Initiative, a collaborative Fine Arts Strategic Planning process to ensure equity and access to arts education for all Baltimore City Public School students. The Baltimore Arts Education Initiative (BAEI) is a 2017 recipient of a $50,000 National Endowment for the Arts Art Works: Collective Impact grant. In partnership with Baltimore City Public Schools, Arts Every Day will convene students, parents, community partners, arts educators, arts organizations, and district stakeholders to create a Strategic Plan to move the Baltimore City Public School District forward in 1) meeting new Maryland State Department of Education Fine Arts Standards and Regulations, 2) equipping school leaders and educators with a roadmap for building arts rich schools, 3) defining guidelines for quality school and community partnerships, out-of-school time and summer arts programming. The planning process will take place over the 2017-18 School Year. National Voter Registration Week Starts 9/26! 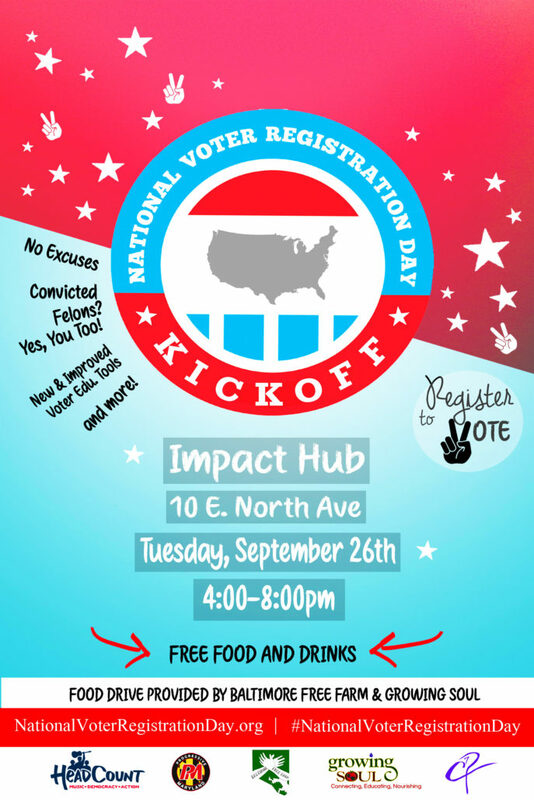 Join Citizen Artist Baltimore, Mile 22 and other civic and community organizations to kick off National Voter Registration Week, beginning Tuesday, September 26th, 2017 with a friendly, fun, happy hour with complimentary drinks, refreshments, and music. Voter registration, information and educational tools will be available to increase awareness around the importance of voting locally. This is the opportunity to connect with like-minded individuals, make your voice heard, and begin to make a collective impact for change in Baltimore City! Also find out the resources and organizations already making that impact in need of support from engaged citizens! 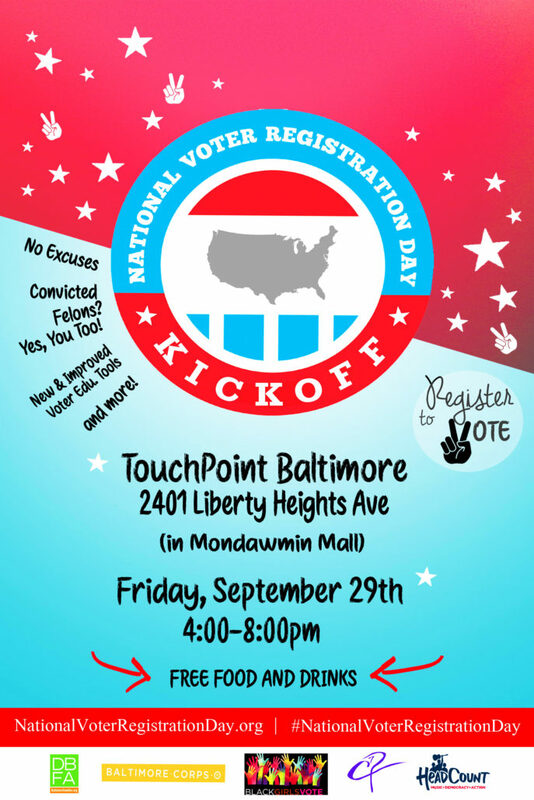 Baltimore’s National Voter Registration Week will continue with a celebration at TouchPoint Baltimore. http://citizenartist.vote/wp-content/uploads/2017/09/VRD.feature.jpg 629 1800 citizenartist http://citizenartist.vote/wp-content/uploads/2015/11/CitizenArtistBaltimore-header.png citizenartist2017-09-25 22:15:402017-09-25 23:27:22National Voter Registration Week Starts 9/26! The dramatic removal of Baltimore’s contested Confederate monuments has sparked a robust public dialogue around what to do with the remaining sites. In response, the Baltimore Office of Promotion & The Arts has created an online portal, “Monumental Sites,” to serve as a central repository for the public’s suggestions and ideas. All are invited to share their ideas for what to do with the sites through this online form. Proposals are due December 31, 2017. Its understood that ideas will be considered for temporary art interventions, performances, and/or programming. Permanent changes to the sites will require a long term review process that has yet to be defined. Now is the time for citizen artists to help shape these processes.